How good if we could enjoy the sunlight into the room any time of day or night. Well, the good news is through the technology and high financial ability, you can have it if you want sunshine in your home. CoeLux is an optical system which is based on nano technology which makes it possible to produce light like natural light that we often see during the day on a window that mounted at the ceiling. The artificial solar light is made of a layer of nano particles that can produce light even make the illusion of there being sun shining on the window. CoeLux even offers 3 types of sunlight that you want from, ie the sunshine of the Tropics, Mediterranean and Northern Europe, which each type will display different sunlight. 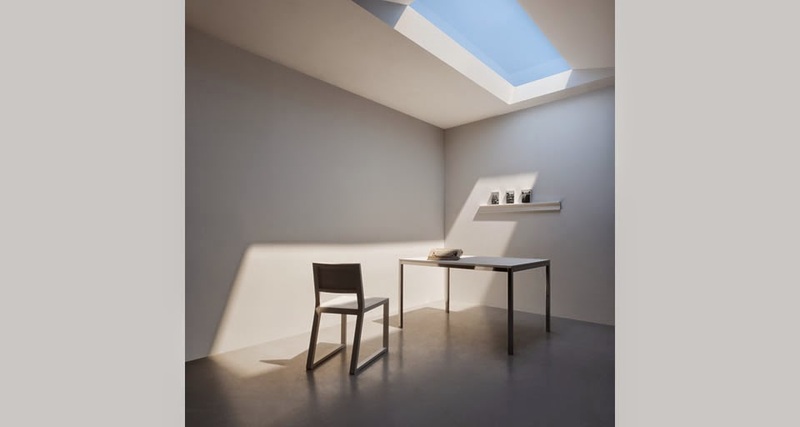 For those who prefer the more dramatic slice of tropical light, CoeLux 60 offers yet an additional solution in a skylight with cooler, vertical sunlight, and the maximum luminance contrast of light and shadow. For lovers of the Mediterranean basin there is CoeLux 45, a skylight featuring a 45 degree ceiling beam that offers an equal balance of light and shade, best enhancing the shapes and volumes that have historically flourished in outdoor architecture. For enthusiasts of Nordic countries, CoeLux 30 is available, with a 30 degree angle beam relative to the horizon. It is a wall window and is capable of reproducing a warm, grazing light.